Celebrations in Lenin Square, in the Crimean capital of Simferopol, after the Crimean people voted to make the peninsula a part of Russia. More pictures at http://mashable.com/2014/03/16/crimea-votes-the-day-in-pictures/. December 17, 2014 -- submitted to Links International Journal of Socialist Renewal by the author, first published on Truthout, December 10, 2014 -- In the propaganda campaign being waged by the NATO countries and the government of Ukraine against Russia and in support of Kiev’s war in the east of the country, the events in Crimea of the past nine months occupy a pivotal place. The secession from Ukraine that followed the March 16 referendum vote in Crimea is the number one pretext to justify the war as well as NATO’s rising aggression in Eastern Europe. 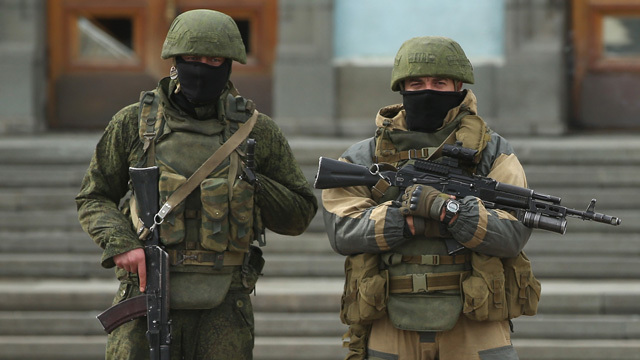 Vasily Koltashov and Boris Kagarlitsky: Will Putin abandon eastern Ukraine’s rebels? Vladmir Putin and John Kerry: "Let's deal?" Ukraines' President Petro Poroshenko (second from left) greets US Secretary of State John Kerry. August 24, 2014 -- The Bullet, posted at Links International Journal of Socialist Renewal with permission -- The Ukrainian conflict, like most political phenomena, is multi-dimensional and highly complex. As such, it calls for a holistic – dialectical, if you wish – approach. But to judge by US and NATO spokespersons and by their mass media, there is only one really decisive factor that explains everything: Russia's imperialism, Vladimir Putin's determination to dominate and further dismember the Ukraine as part of his plan to restore the Soviet empire. In this simplistic view, Ukraine, with benevolent support from the West, would be quite capable of dealing with its problems and would soon be on its way to becoming a prosperous, Western-style democracy. See also Chris Slee's "Discussion: Are Russia and China imperialist powers?" June 18, 2014 -- Truthout, posted at Links International Journal of Socialist Renewal with the author's permission -- The violent coming to power of a rightist regime in Kyiv, Ukraine in late February 2014 has opened an exceptionally dangerous political period in Europe. For the first time since World War II, a European government has representatives of fascist parties as ministers. These are the ministers of the armed forces, prosecution service and agriculture, and deputy ministers of national security (police), education and anti-corruption. “Mainstream” parties alongside the fascists in government, including the elected president, are committed to an austerity project of economic association with Europe that will see much of the manufacturing base of the country further degraded or dismantled. The consequences for agricultural production are also likely to be dire. US President Barak Obama and European leaders endorsed Ukraine's president-elect Petro Poroshenko at a summit meeting in Warsaw on June 4, 2014. Breaking news: Progressive and anti-war groups from Ukraine, Russia and Belarus held a two-day conference in Minsk, Belarus on June 7 and 8 and issued a call to build a broad-based, antiwar movement to halt the course to civil war of the governing regime in Kyiv and its NATO allies. See below this article for an English translation of the conference statement, or check the Ukrainian website Liva.com (The Left). A Crimean Tatar protester holds a flag with the Crimean Tatar symbol. Click for more analysis on developments in Ukraine and Crimea. May 24, 2014 -- A Socialist in Canada, posted at Links International Journal of Socialist Renewal with permission -- The situation of the Tatar population of the Crimea peninsula is being cited to discredit the decision in March by the people of the Crimea region to secede from Ukraine and join the Russian Federation. This article looks at some of the history of the Tatars and also at the real situation today as best it can be discerned from afar. Russian president Vladimir Putin signs law completing Crimea annexation. Links International Journal of Socialist Renewal has published a range of views from the left on developments in Ukraine and Crimea HERE. March 24, 2014 – editorial, Rabkor (Worker Correspondent) -- No, that’s not a mistake. On March 18, Crimea annexed Russia. There were no insidious schemes or imperial ambitions involved. There was, however, a spontaneously developing situation, together with the usual, everyday willingness of the Crimean bosses, who saw a unique chance in the Russian-Ukrainian crisis. March 30, 2014 -- Green Left Weekly -- The United Nations General Assembly voted on March 27 ― with 100 votes for, 11 against and 58 abstentions ― to not recognise the results of the March 16 referendum in Crimea. In the poll, most voted for the territory to leave Ukraine and join Russia. The resolution was put by Ukraine and sponsored by the United States, the European Union and other Western powers, including Australia. There are certainly questions about the conditions in which the referendum was held ― and of electoral fraud. But the resolution specifically upheld the “territorial integrity” of Ukraine, thereby condemning the unilateral separation of Crimea from Ukraine regardless of the circumstance of the vote. 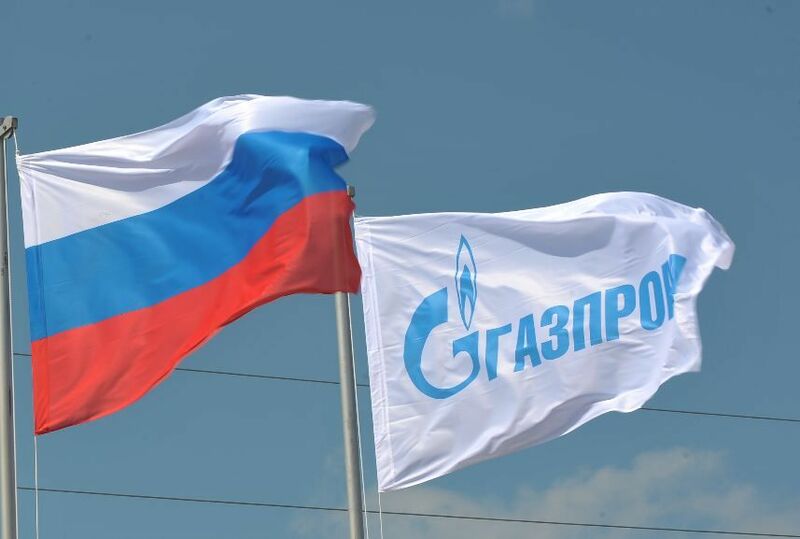 The resolution’s sponsors have portrayed the events in Crimea since the February 21 overthrow of the Ukrainian government of Viktor Yanukovich as a Russian invasion, a viewpoint not questioned in the Western corporate media. Russia and its allies have, for their part, portrayed the events as an act of self-determination. 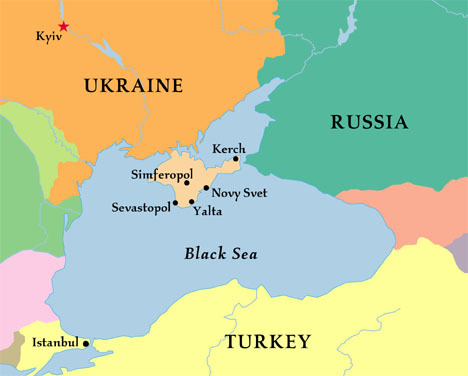 March 22, 2014 -- Green Left Weekly -- Russian President Vladimir Putin announced legislation on March 18 accepting the formerly Ukrainian Republic of Crimea and City of Sevastopol into the Russian Federation. The legislation was passed by the Russian Duma (parliament) on March 20. Crimea and Sevastopol had voted in a March 16 referendum to leave Ukraine and join Russia. This was the culmination of a process that began after the February 21 overthrow of unpopular Ukrainian president Viktor Yanukovich by protesters in the capital Kiev. Crimea is 60% Russian-identifying and 84% Russian-speaking, and was not historically part of Ukraine. Sevastopol is the home port of the Russian Black Sea Fleet. Yet this dramatic change in Europe’s borders was not on the agenda before the fall of Yanukovich less than a month earlier. The Ukrainian government responded with predictable outrage and threats to what it regards as a blatant annexation of its territory. But Ukrainian forces in Crimea ― those who have remained loyal to the new Kiev regime ― have been powerless to stop pro-Russian forces taking over their bases and naval ships. 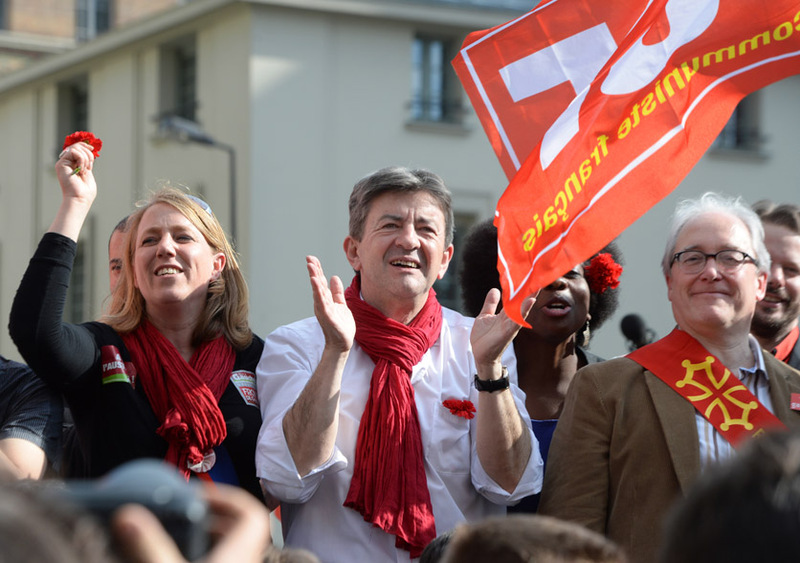 March 11, 2014 -- Déi Lénk (The Left), Luxembourg -- So, the Crimean parliament has voted to reunify with Russia. The notorious referendum, initially set for May 25, then brought forward to March 30, will finally take place on March 16 and “will serve to confirm” the decision of parliament. Clearly, they are already on their way to joining Vladimir Putin’s Russia. Over there, you never hold an electoral consultation without having decided the result beforehand. We must grasp the enormity of what has just happened. For the first time since 1945, a country has annexed by armed force part of the territory of another country. Up until now we have had armed interventions, bombings, even wars in the Balkans. But never this. And for the time being, nothing indicates that it will remain an isolated case. Discussion: What stand for socialists on events in Crimea and Ukraine? Crimeans vote in the referendum on the region's political future. Click HERE for more on Ukraine. March 18, 2014 – Links International Journal of Socialist Renewal -- Two distinct views on the left have emerged to describe the political upheaval that has shaken Ukraine and Crimea in recent months. On February 21, the government of President Victor Yanukovych was overthrown and replaced by a pro-western government in which extreme rightists have a prominent place. One view describes the political intervention of the US and other NATO countries in favour of regime change as playing a decisive role. So much so that the mass protests against the Yanukovych government are denied any popular and social legitimacy. Russia’s role in events is viewed uncritically. March 11, 2014 -- Links International Journal of Socialist Renewal -- I think it is useful to specify [my position on developments in Ukraine] in black and white. I’m doing it in broad brushstrokes so that the advanced minds in the newsrooms can understand. I’m doing it in their language, saying what "I support" and what "I condemn”. Please understand me: my comments here are an express warning sign for the Mickey Mouse minds of the media world. Let's go: I do not support Russia's President Vladimir Putin. Neither do I support the de facto actual authorities of the Ukraine, nor the kleptocrats of the previous constitutional government. However, contrary to [Green member of the European Parliament] Daniel Cohn-Bendit, I am not in favour of war with Russia! While I think that the Russians have nothing to do outside their bases in the Crimea, I also condemn the attempted encirclement of Russia by NATO which is the cause of their action. I condemn the neo-Nazi anti-semitism of the de facto ministers in power in the Ukraine and support their rapid expulsion from the government. Unarmed Ukrainian troops march on the Belbek airfield in Crimea to retake it from soldiers under Russian command. After a shouting match, the Ukrainians withdrew and some members of both sides played soccer together. Click HERE for more on Ukraine. For more by Boris Kagarlitsky, click HERE. March 4, 2014 – Links International Journal of Socialist Renewal -- Why, do you suppose, war has not yet broken out between Russia and Ukraine? The answer is very simple: no one plans to go to war, and no one can. Kiev for practical purposes does not have an army, while the government that has appeared in Kiev has no control over half of Ukraine, and cannot even exercise particular control over its own supporters. If the Ukrainian authorities make any serious attempt to mobilise their forces, this will merely provoke new protests. Even rumours of such a possibility have been enough to provoke anti-government demonstrations in Odessa. Maxime Benatouil: What root causes explain such large parts of the population joining the protests, on Maidan Square and elsewhere? Volodymyr Ishchenko: First, let me tell you that the protests weren’t exclusively initiated by the students. It is a quite widespread misperception. The first protests were launched by various groups: journalists, civic activists, and students. All these groups share a common European dream, a very deep-rooted idea that Europe has the solution to Ukraine’s problems. To them, it means: more democracy, more justice, less corruption and a better welfare. This is a very old idea, well-anchored in Eastern European societies. Ever since the 19th century, there has been a will to catch up with Western Europe. Many Ukrainians still think that way. March 1, 2014 ---- Links International Journal of Socialist Renewal ---- The OpenLeft.ru site in Russia has published the following statement on the military moves towards Ukraine by Russia in the Crimea region. Translation thanks to Op Thoughts Blogger. Crimea has found itself unlucky to be at the intersection of Russia's imperialist ambitions, and the rough nationalist politics of the "new" Ukraine. The "Open Left" declares: the movement for self-determination in Crimea is more important in its significance than both, imperialist games and nationalist fervour.